"Why not just eat the raw vegetables? As we have indicated in the previous chapter, for optimum health you need far more than you could possibly eat. The stomach just couldn't handle that much bulk. Then too, if modern research is correct, the power to break down the cellular structure of raw vegetables, and assimilate the precious elements they contain, even in the healthiest individual is only fractional--not more than 35%, and in the less healthy, down to 1%." "In the form of juice, these same individuals assimilate up to 92% of these elements. The juice of the plant, like the blood of the body, contains all the elements that build and nourish. It is a well-known fact that all foods must become liquid before they can be assimilated." Thus, by juicing, we do the work of the digestive system (removing the fiber) BEFORE we put the food into our bodies. By removing the fiber, which contains no nutritional value (fiber is only the carrier of the nutrients), we are putting only the part of the vegetable that contains the nutrients (the liquid part) into our bodies. By doing this, we eliminate the need for it to go through the digestive process. With the fiber removed, the nutrients can go directly to cellular level in mere minutes, and this raises the percentage of nutrients reaching cellular level from less than 35% to more than 90%. This is one of the KEYS to the results people experience on the Hallelujah Diet. And this is one of the primary reasons that within six months or less, from the time a person makes the diet change that we teach, over 90% of all physical and even emotional problems are gone. You see, the body has within it not only the ability to rebuild itself when given the proper building materials, but also the ability to heal itself of almost anything that ails it. This self-healing mechanism was placed there by God at creation, and has been passed down to each of us through genetic coding. So, first, if we want to get well, or stay well, we stop putting into our bodies the toxic foods that have been causing harm (all animal products, sugar, table salt, white flour, and caffeine). Then we start putting into our bodies the raw building materials the Lord designed our bodies to run on, especially in the form of concentrated raw vegetable juices, and the miracle usually follows. Dr. Walker was born January 28, 1867 and I have been told he died in December 1985. Dr. Walker began his journey into nutrition in his early 50s after he became very ill. At the suggestion of Dr. H. William Baum, a chiropractor in New York City, Dr. Walker rejected the medical route, turned his back on the Sad American Diet of his day, and changed his diet to raw vegetarian. Not only did he recover from all of his physical problems, but he went on to live to the ripe old age of 114. Dr. Walker was the "inventor" of carrot juice and became a prolific writer. His books have had a profound effect on my life. You may want to read FRESH VEGETABLE AND FRUIT JUICES - WHAT'S MISSING IN YOUR BODY. 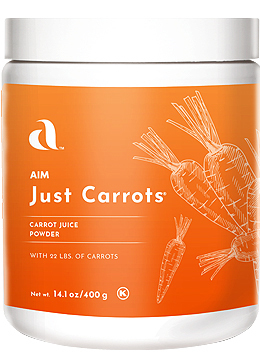 For information on juicing carrots see Carrot Juice.